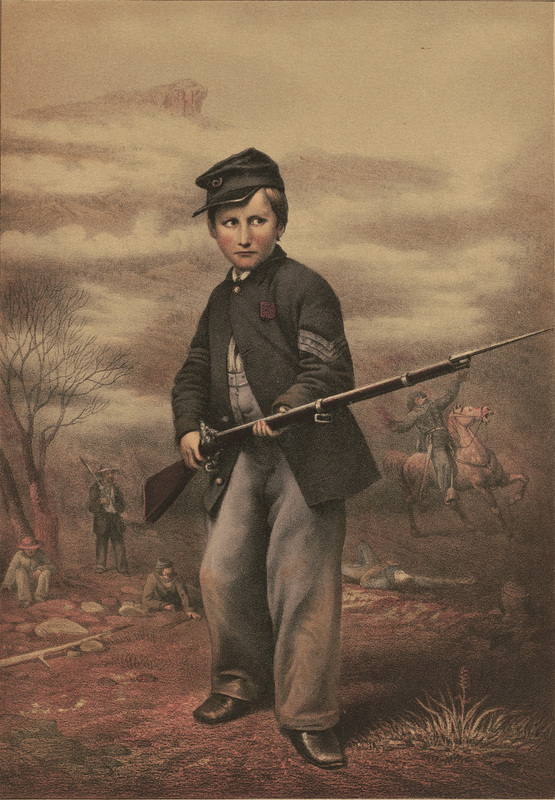 A horrific day of fighting was followed by “a night of waking.” The following morning the battle resumed; “the enemy came again and again—his persistence was dispiriting.” Bierce’s commanding officer sent him to get more artillery shells, and he soon returned with a skittish officer in possession of several wagons of ammunition. 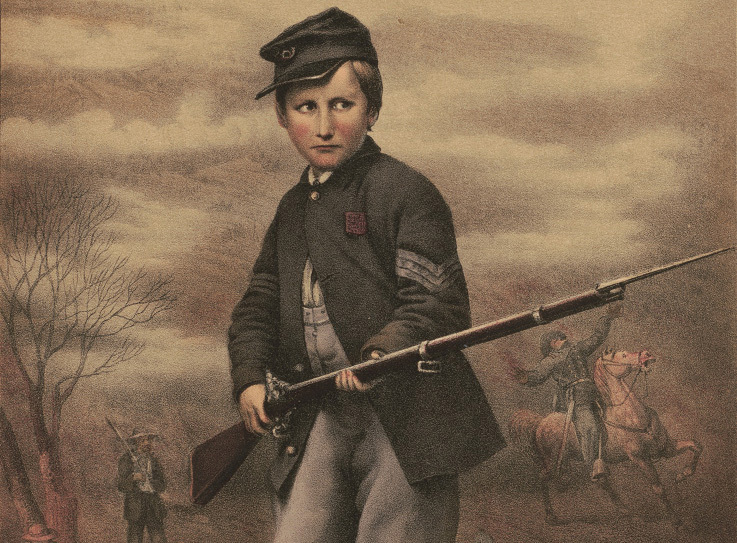 They hesitantly reached the top of the ridge overlooking the area Bierce had just left and “to my astonishment I saw the entire country in front swarming with Confederates; the very earth seemed to be moving toward us! They came on in thousands, and so rapidly that we had barely time to turn tail and gallop down the hill and away.” At about this time General Rosecrans fled to Chatanooga and telegraphed President Lincoln: “We have met with a serious disaster; extent not yet ascertained.” Yet, Bierce drily noted, “The rest of his army was standing its ground.” At the end of the day the victorious Confederates decided not to make a final attack to complete the rout (“I don’t know why they did not; probably they were short of ammunition”), and Bierce retreated with the defeated Union army to Chattanooga. Within a few months Bierce apparently had second thoughts. 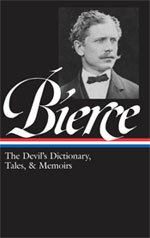 After a reviewer compared Crane’s novel unfavorably to Bierce’s Civil War stories and further criticized two other new writers as being even worse, Bierce responded with his trademark bitterness. That hardy and ingenious explorer, that sun-eyed searcher of the intense inane, that robber baron invader of literature's loud oblivion, that painstaking chiffonier of fame's eternal dumping ground has dragged to upper day two worse writers than Stephen Crane and names them out loud. I had thought there could be only two worse writers than Stephen Crane, namely, two Stephen Cranes. Note: The lines of poetry on the second page are from Byron’s Childe Harold’s Pilgrimage (1812), canto 3, stanza 38; the reference is to Napoleon. One sunny autumn afternoon a child strayed away from its rude home in a small field and entered a forest unobserved. . . . If you don't see the full selection below, click here (PDF) or click here (Google Docs) to read it—free!